NOTE: I have posted the entire article here instead of posting only part of it and linking to the rest. Due to the layout of the article on The Daily Mail website, it is not possible to find a proper break for the reader to know where to begin reading when they click on 'read the full article.' I am not the author of this article or any part of it, nor do I claim to be. To see the entire article on The Daily Mail, along with photographs, click here. 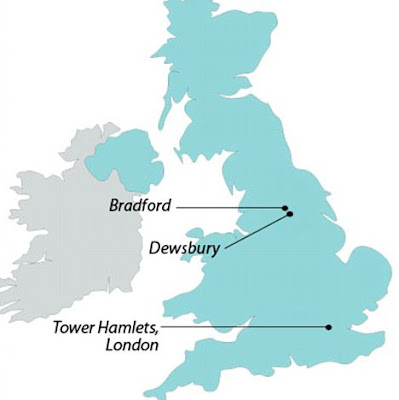 'Likely areas for these projects might be Dewsbury or Bradford or Tower Hamlets to begin with.